Height: 5' 7" | 5' 8"
Weight: 132 lbs. | 135 lbs. Powers: The ability to summon low-level black magic using incantations or spell books. 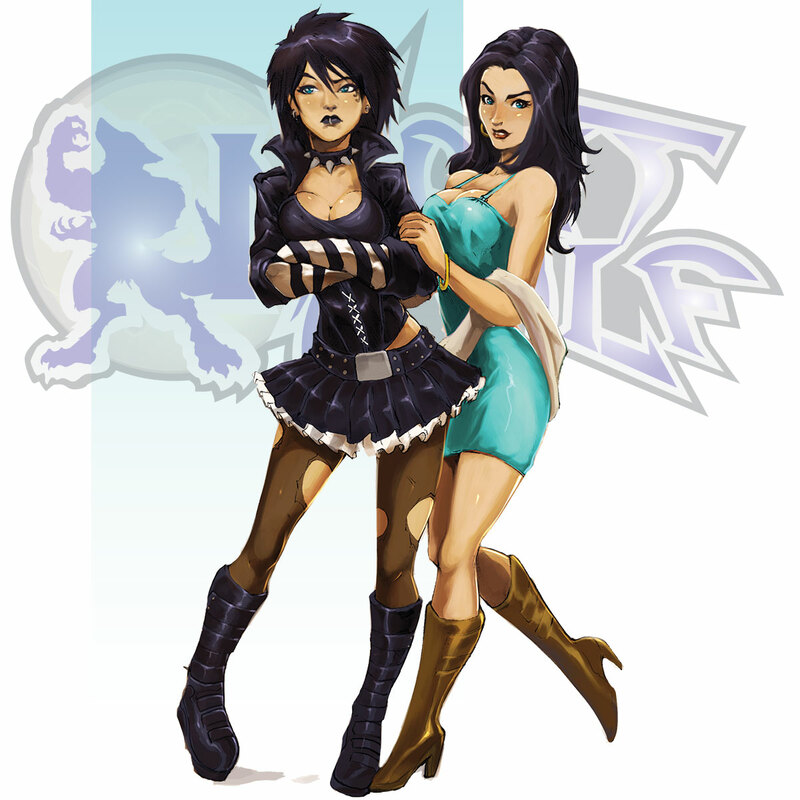 Circe and Janelle are not identical twin witches, and the youngest members of the Dark Covenant's witch coven in the Northeastern Region of the United States. Circe has a bad girl attitude and is obsessed with gothic fashion, while Janelle is prim and proper with an obsession for pop culture. The twins are still learning to use their magical powers under the direct tutelage of Hecate, the head of their coven.